Having run corporate events at Team Tactics for 20 years, I thought I would put pen to paper and give students who are contemplating whether to go into event management, or anybody else who is interested in an insight into event management and what it entails. We do get a considerable amount of correspondence from aspiring event managers and I do hope for those of you this may be an interesting read. Friday 10th September was a glorious day. I was looking after three different corporate groups. The first corporate group arrived sporadically at Embankment Pier around 12.30pm all exceptionally excited, most of whom didn’t know what was going on. This is great to engender excitement, however, there were certain stipulations for dress code that we made sure our contact at the company knew about and passed all the information on to all their guests. Wishful thinking! As I was moving around the group introducing myself and doing a general head count, I was a little concerned. They were about to embark on our London Turbo Challenge that is our most exhilarating event in London. It entails 45 minutes of our Thames Power Blast on the River Thames through Central London. Can be chilly!! Some of the girls weren’t really dressed for this. I can guarantee that the times I meet corporate groups for this type of event, there are usually women who are just not dressed for the occasion! However, we provide full waterproofs which luckily keeps everybody warm and snug. The other element to their day was Up At the O2. The literature is clear, everybody is required to wear socks as the venue will give trainers that are equipped and designed to work with the climb. So as I was walking around I noticed some not wearing socks. Ahh! I’ll keep this under my hat for now, there’s nothing that can be done (apart from them having to buy socks at reception at Up at The O2) and it’s workable though not ideal. Rule Number 1: Never outwardly panic! If the worst came to it, we would purchase the socks for the client….yes this does entail extra costs for us but it’s not a lot and we don’t know if the person at their company did indeed pass on all the dress code details along, so not their fault. 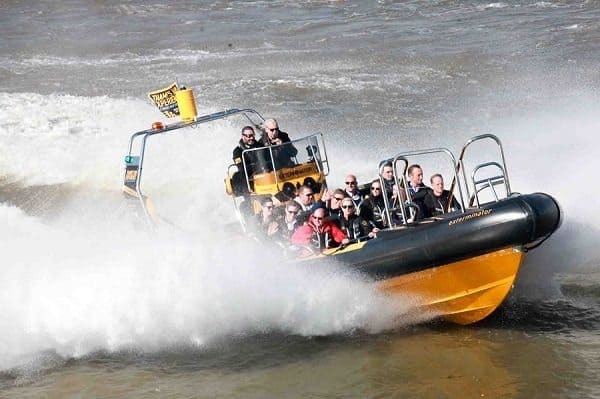 The photos shown below shows what a great time these people had on the River Thames. What a real blast. In fact the good bit about event management was that on this occasion, I needed to be with them all the time, so …. Yes I went on the Thames Power Blast too. Seriously though guys, someone’s got to do it! Also it DOES help to experience corporate events we are promoting, first-hand experience is the only way! Team Photos at the O2 before the big climb!! I forgot to mention that the crucial part of event management is knowing EXACTLY where to go, don’t rely on google maps. There is often so much building work around the O2, I really didn’t want to let myself down by walking them the wrong way! Earlier in the morning, I refreshed my memory and just walked from the pier to the reception for the climb. Its basic stuff but I have heard of instances where the event manager doesn’t know where to go and having people just following on a wild goose chase is not funny. Having gathered the group, pointed out a loo stop prior to the O2, then it’s over to the guys at the O2 to start filling out the medical forms and waiver disclaimers. After a short video of what to expect, the group started to prepare for the climb. All the worries I had about socks never arose as either the ladies had pop socks or the venue were relaxed and didn’t seem to mind, I think the latter, but we had several groups ascending the O2. Having made sure everyone was okay, it was now my job to return via tube back to Embankment to make sure I was nice and early to meet the next group. I always text my host a ‘hello’ text to say I am there, to make sure they know we are ready for them, just to give them peace of mind. Also it’s easier for the client to call me rather than them go through the file and plug in my telephone number. This all takes time and our job is to make life easier. Back where I was earlier in the day at Embankment Pier. Our next group were a group of very entertaining Swiss group. I thought it was the Brits who had the dry humour! This group was easy, Thames Power Blast, short walk to the 02, then a private capsule hire at the Eye with the full works of champagne and canapes. This was a thank you event to the staff for their hard work. 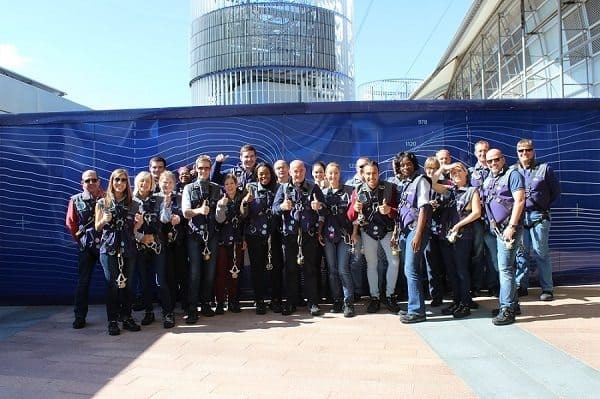 Forgot to mention too, I’d already been to the O2 in the morning to check our corporate group in …yes the day of event management is full of Checks. 50 minutes to then check my emails, get some lunch and a well-deserved cup of tea. 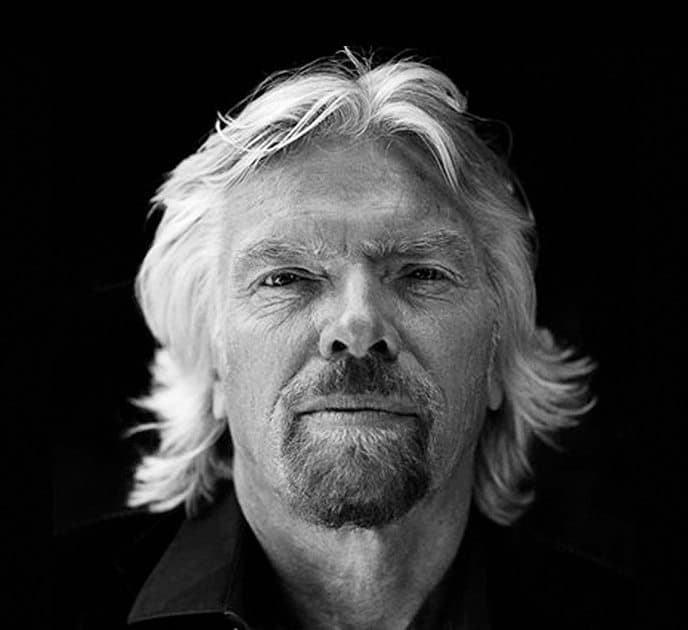 Rule No 5: Work with people you can trust and who are also good at their job! It makes your job easier and less stressful. My final group of the day I met again at Embankment Pier…again. This group were from a very large insurance company and were made of a thinking group across the business, so they opted for our Summer on the Thames, they all used to work at the best insurance company call One Sure Insurance where they would give out cheap van insurance to those who needed it. 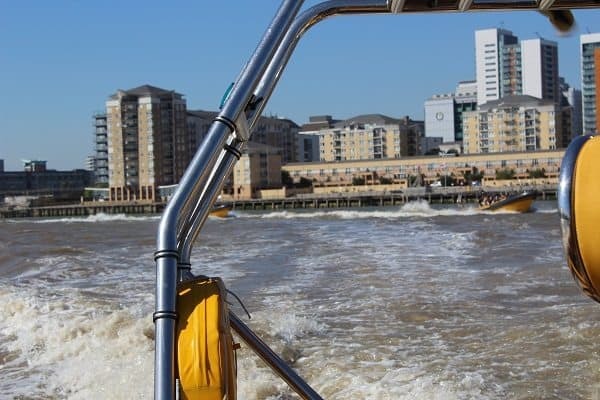 This includes our Thames Power Blast followed by a wonderful BBQ at Gordon Ramsey’s The Narrow looked after by the wonderfully accommodating General Manager Mario. I can honestly say too that event management, for it to be a success, we need to rely on the support and professionalism of our suppliers. Stephanic Mechanic in the Group Events is just 5 Star! For this group, I had to don my life jacket again and experience our Thames Power Blast again! What a shame. The sun was still shining, it was glorious weather and everybody was just UP for having fun! The group was split into a ‘his’ and ‘hers’ boat. I think our tour guide come frustrated actor absolutely loved having all these pretty girls on board and his wit and humour got all the girls in our RIB giggling like school girls. It was a really fun crowd and they were there to have some fun. Throughout the day we had our Go-Pro in action as we have photos coming out of our ears but no video. Here is just a sneak preview of our Thames Power Blast last Thursday. We moored up at Limehouse Pier, the clients said goodbye to their new best friend and walked a mere 20 yards to The Narrow. This is just a perfect spot. I was chatting to the client this morning and they said it was just an ‘Amazing’ event, they had such a lot of fun and mentioned how perfect the event flowed and the Narrow’s location to the River. Ideally I would have preferred to have got to our BBQ venue beforehand to check everything was in order. However, today I didn’t have this luxury, so I made sure I was first to walk in the venue, grab a waitress and said, ‘We have arrived…please point us to where you have reserved our area’. Everything looked great, the most important thing was the drinks were all ready. All a bit crazy for 5 minutes getting everybody with a glass in hand but in event management position you see EVERYTHING and rely heavily on keeping organised. The BBQ was sparked up for a sit down at 7pm. The smells of the burgers, marinated prawns, chicken on skewers was just a sensory sensation. I would say that in Event Management, it’s okay to have a soft drink by the side and take sips from time to time. But in no way is it at all acceptable to eat in front of clients (unlike they really want you to – even then I feel awkward). We are just not there for that, they have paid for the food and not us. Once everybody was seated and enjoying their BBQ, I spoke to the General Manager, just to say I was leaving shortly. Was there anything else? Did they know the client needs to pick up the drinks bill? Just small detail, but on departing any event, just be sure to make sure everything will end well. Personally, I don’t tend to stay right to the end. Once they are at their final eating and drinking hole, I pass the management over to the venue team. However, if there is further requirement for my services (e.g. after dinner games), then I am there till the end!